1-Click YouTube Video Download is the very popular free Firefox extension, it is a helpful tool for the users who like to enjoy YouTube videos and want to download them on Windows or Mac computers. However, it has some limitations, we will explore the limitations of this program and provide you the best alternative to 1 Click YouTube Downloader. There are many restrictions of the Click YouTube Downloader, probably you are wondering what program to choose. The internet offers almost unlimited possibilities and opportunities, but if you want to choose the best video downloader available, you should definitely try iTube Studio. With iTube Studio you can download videos with only one click videos from more than 10,000 video sharing websites. 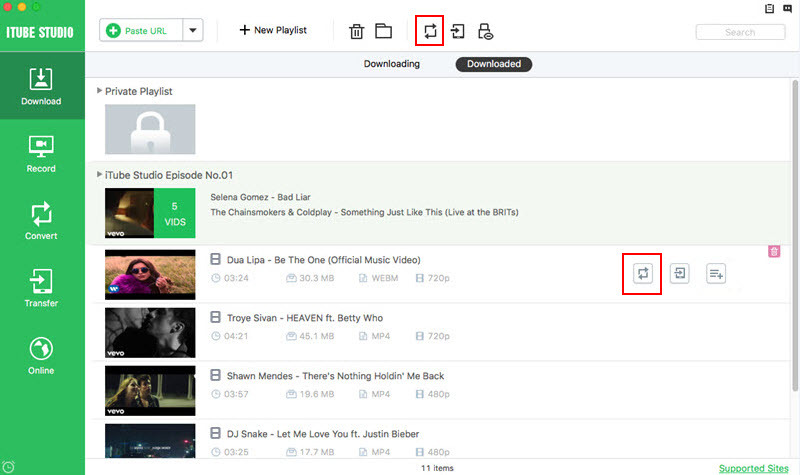 iTube Studio offers an incredibly fast downloading speed. It can download batch of videos. 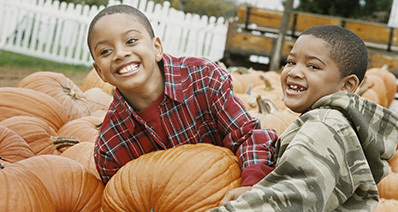 It is also an organizer for your downloaded or local videos. It supports to convert downloaded YouTube videos in 153+ media formats. The program is compatible with Firefox, Safari and Chrome and works well with Mac 10.6 or later (including macOS High Sierra, Sierra). After installing iTube Studio, a "Download" button will be added to any YouTube video so you can download YouTube in one click. Like 1-Click YouTube Download, it supports Firefox in addition to Safari and Chrome. When you play the video you want to download, mouse over the video player and the "Download" button will appear at the top left corner of the video. Click it to start downloading YouTube to your Mac. Beside downloading YouTube by click, you can also use the "Paste URL", or drag and drop the URL to the dock icon of iTube Studio YouTube Downloader to start downloading YouTube video. 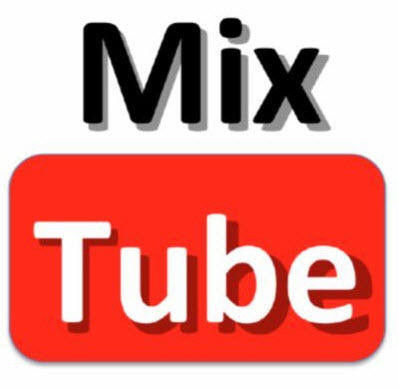 iTube Studio 1-Click YouTube Downloader also allows you to convert YouTube to any regular format like MP3, MP4, MOV, AVI, MPG, MKV, etc. To convert the downloaded YouTube video, go to "Downloaded" tab, and click the "Add to Convert List" icon next to the video to import the video to "Convert" menu. 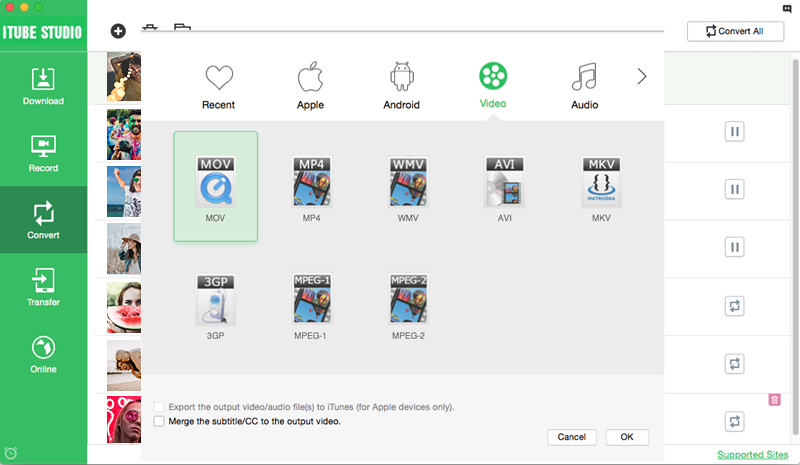 Then turn to "Convert" menu, click the "Convert" icon on the right of each video item. In the window that shows up, choose the format you want and Click "OK" to confirm. Note that the download extension for Safari, Firefox and Chrome will be installed automatically when installation. Please go to the extension section of browser to make sure the existence of iTube Studio extension. If it doesn't exist, re-install the program or go to Preference to install. Also make sure it's enabled, otherwise, you will be failed to download video with this 1 Click YouTube Downloader. Part 2. Why 1-Click YouTube Video Download is Not Enough? The program is an add-on for Mozilla Firefox and Internet Explorer; if you have any other browser, forget about it. 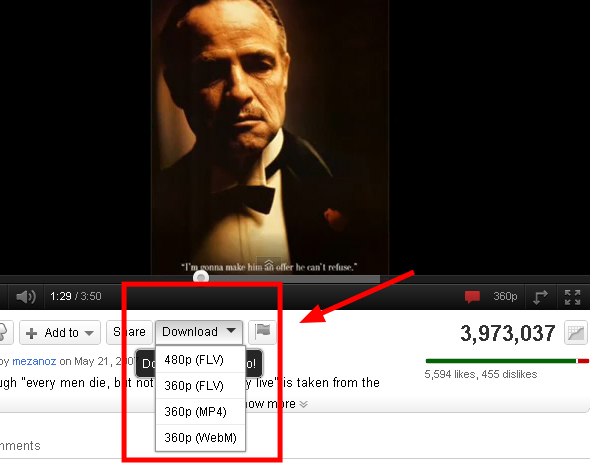 You can use it to download videos only from YouTube. For any other websites, you need another downloader. It is simple to use, but it doesn’t offer any other features to its users. 1 Click YouTube Downloader will download your favorite videos as FLV files, so you will need another program to convert them.